We are exploring new ways to reward our developers for their skills in the US, UK and Germany. Starting this month, we are giving eligible game skill developers the opportunity to earn money for their skill based on customer usage. He is not alone. Amy Stapleton posted on Linked in that her Tricky Genie Alexa skill also qualified for a reward this month. When I did my lifecast [video] on monetization, I stated when I talked about the revenue share model that whoever comes to market first with this will dominate. If developers are freed up from the pain and hassle of working out monetization schemes for their skills, they can focus on creating interesting and valuable content. The developers win. The consumers win. The vendor wins. I honestly thought Google would be first out the door, having experience with YouTube, but I’m glad to see that someone is finally doing it. An FAQ page was quietly published in the developer section of Amazon’s website yesterday. The program starts paying rewards this month based on skill usage in the previous month. Amazon is careful about characterizing the payouts as rewards. Reward program can have their own rules and be updated at any time. For now, Amazon is not revealing how it is determining reward amounts. The FAQ explanation does confirm that usage doesn’t simply mean the raw number of people trying the skill. The duration of play, the number of new customers and “other measures of engagement” provides Amazon with broad latitude in determining who gets paid. The “new customers” metric is particularly interesting since Amazon has strong influence over this by which game skills it features in the skill store and weekly emails to Echo owners. What Will Happen Next? Gaming the Payout Algorithm. Now that there is money involved, you can imagine three things are going to occur. The last point is similar to what people have learned to do on the iOS App Store to maximize their ability to be near the top of various lists or even execute SEO for Google searches. There is now a definable goal for game developers beyond simply getting their skills launched and monitoring game play. For Amazon, the reward program presents a new way to incentivize developers to maintain and improve their skills. This has started with games, but the company could easily run reward programs for other skill categories that it believes are strategic. There are already questions in developer forums about why it is limited to games. A March article by The Information (paywall) titled, “Amazon Wants Alexa to Play More Games,” sheds some light on this. Amazon.com CEO Jeff Bezos has decided that games are the killer app for Alexa. 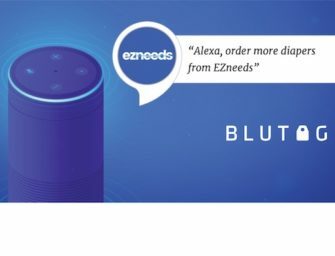 Mr. Bezos has told the team behind Amazon’s digital assistant to focus on getting more games for Alexa’s app store, according to a person that works with Amazon. Mr. Bezos believes games can make developers the most money, which is important in getting them to build for Alexa. This is a strategic move that is focused on the long-term health and vibrancy of the platform. Alexa already has close to two orders of magnitude more skills than rival Google Assistant and three orders more than Microsoft Cortana. The number of skills isn’t an issue today but Amazon wants to continually press its early market advantage as it did last week by introducing the new Alexa calling and messaging features. The key question for Amazon is whether these rewards become viewed as entitlements. The other platforms may benefit from introducing subsidies to grow their voice application catalog for users. In this case, Alexa has a robust catalog already and wants it to grow. What happens if the company decides to take the reward program away after developers have made decisions based on its presence? This will be interesting to watch. Most likely, it would need to be replaced by another monetization option. Monetization of Alexa skills is a hot topic among independent developers. This is especially true since Amazon updated its advertising policy in April. That update permits advertising for streaming radio, music and flash briefings. VoiceLabs last week launched a sponsored messages program to help these skill makers generate revenue. However, all other skills are prohibited from advertising. So the question has been, how will developers be compensated for their work. The reward program is a targeted solution to address this question now for the games category. A final point worth noting. Amazon has developed a habit of announcing new features, milestones and initiatives shortly before it expects rivals such as Google and Microsoft to make news. Last week it was the Echo Show and calling features in advance of the Microsoft Build conference. The rewards program for developers comes on the eve of the Google I/O conference. Expect Amazon to formally announce this program today and probably have another Easter egg for the media as well. Amazon may be winning the market share game, but it is also playing a shrewd PR game as well. Your move Google.